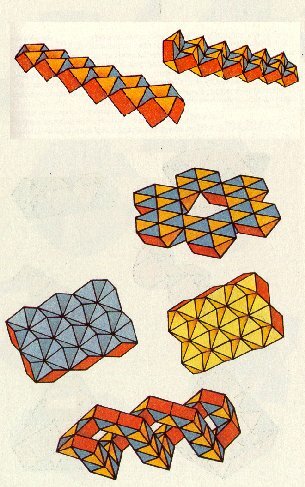 This puzzle is of a very interesting and scanty kind of construction - puzzle, based on the connection of space mosaics with the forms of polyhedrons. 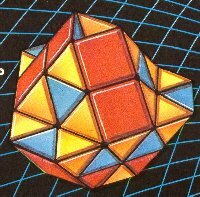 The only existing puzzle of the sort is Rubik's snake and it is world-popular. 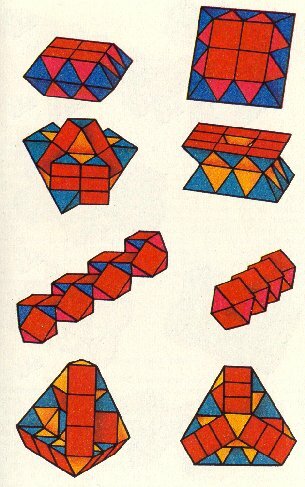 The BIG SERPENT puzzle has a wider range of features. Playing with it is much more engaging and difficult. 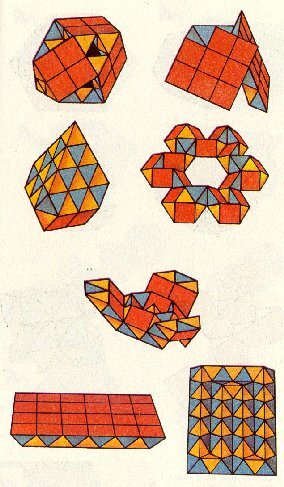 The reason is that, unlike Rubik's snake (based on a simple cubic grating), the puzzle doesn't use usual orthogonal axes. 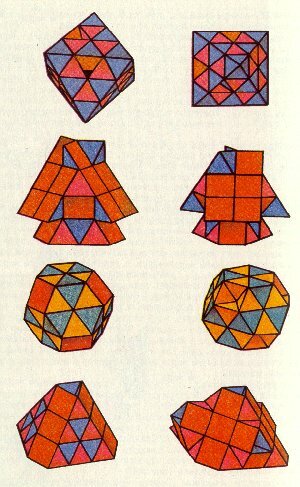 Among the figures made during the game there are many figures of a high grade of symmetry, such as cubic octahedron, pyramids etc., and the number of less symmetric figures is really boundless. 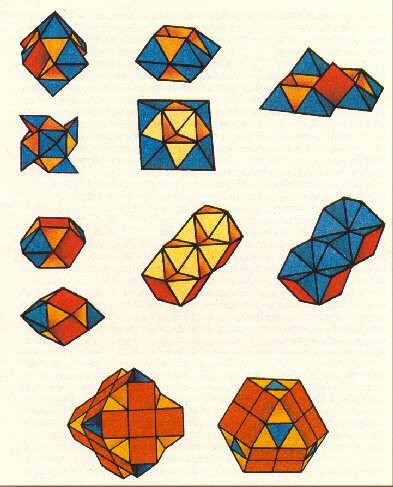 The total number of possible shapes is around e+36. This drives us to the conclusion that the possibilities of our puzzle are immense, which allows to reach concrete aims, leaving at the same time a vast field for a free creative space designing. 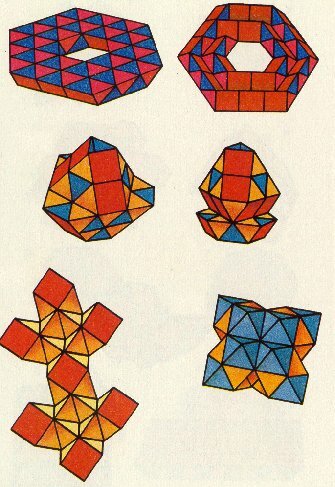 The puzzle is complicated, requires attention and assiduity. Summing up, we'd like to notice that with all pointed advantages THE BIG SERPENT consists of but two simple parts and is easily made.